It’s been awkward to keep all the main domain files maintaining under public_html directory. So here is a solution to organize your main/primary domain pointing to a subfolder. Step 1: Log into your web host service provider and go to “FILES” section. Step 2: Create a subfolder for your ‘primary domain’ under public_html directory. For Example: ‘first’, this could be your main/primary domain name of the website. 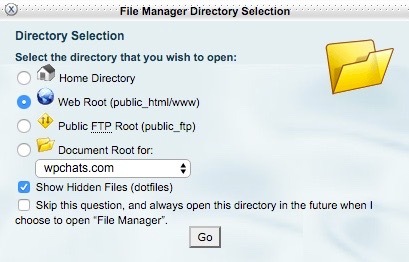 Step 3:Now Edit your .htaccess file under the public_html directory from the web host File Manager Directory Section. This file will be stored as hidden, so you need to select the option ‘Show Hidden Files’ from the File Manager. 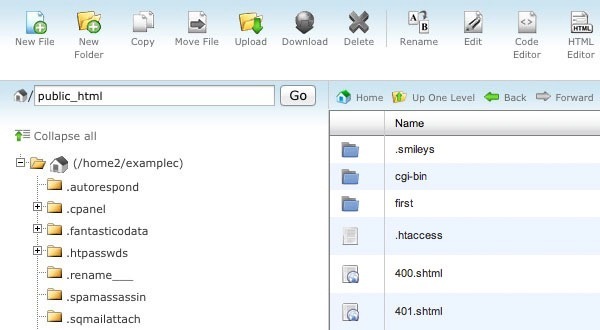 Step 5: Add the following code to your .htaccess file in the public_html folder of your hosting account. Please note: You will need to insert the following code and make modifications as noted in the (#) comments. # Change ‘subfolder’ to be the folder you will use for your main/primary domain. Now visitors to your Website will not be able to tell that your main/primary domain is using a subdirectory in your web hosting.